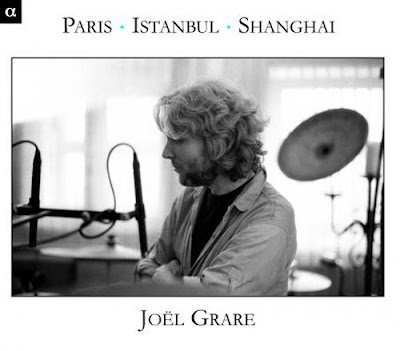 'This recording is a manifesto: modernism, culture, temporality, style, improvisation are all concepts with which Joël Grare plays, like a juggler. At a time of globalisation, of standardisation of cultures, this disc lets us hear the vision of the world of one man, at one given time. The Paris-Istambul-Shanghaï Ensemble (Chinese violin, theorbo, bass and percussions) forms the musical base of this invitation to travel. The guests, such as Claire Lefiliâtre, contribute their personality by taking up the learned or popular themes. Interesting to read that "this recording is a manifesto". Could it be something to do with label founder Jean-Paul Combet having studied at the the Institute of Political Studies in Paris? I hope so, because we desperately need more music making with attitude. I can't add much to the label's description of the CD other than to say there is some very original and beautiful music on this album, and some of the best percussion sounds and deep bass I've heard from my speakers for a long time - the engineer is Alban Sautour. Paris-Istanbul-Shanghai is an album of two parts, the first six-part title suite is easy on the ear world music and the Chinese violin of Guo Gan does rather outstay its welcome. 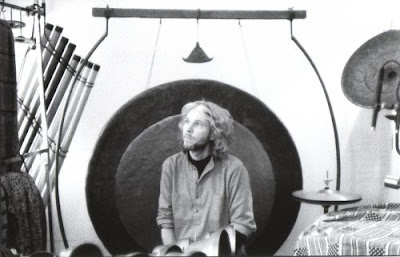 But the second suite La route des métaux, which is a homage to metallic percussion instruments, is the real gem - much more edgy and closer to the inclusive contemporary classical style of Lou Harrison and others. Very difficult to describe, so the best thing is to listen. Here is an MP3 file of the opening track which is a real ear-worm. Moorish original and beautiful music from Alpha here. Wow, that was a real attention getting track. Don't know what it was about it, but I have already purchased the CD from Amazon. I love this sort of fusion sound, and this gentleman seems particularly talented at it. Thanks. Listening to La route des métaux on Spotify now and second the commendation of the engineer, even with my rubbish PC speakers.